Right now, the attention is on building power generation capacity, upgrading infrastructure, increasing energy efficiency, facilitating investment, raising funding and exploring alternative energy sources. Utilities must deliver more reliable services, invest in new technologies, and streamline operational process. And they are urgently looking to identify and evaluate solutions to meet these goals. 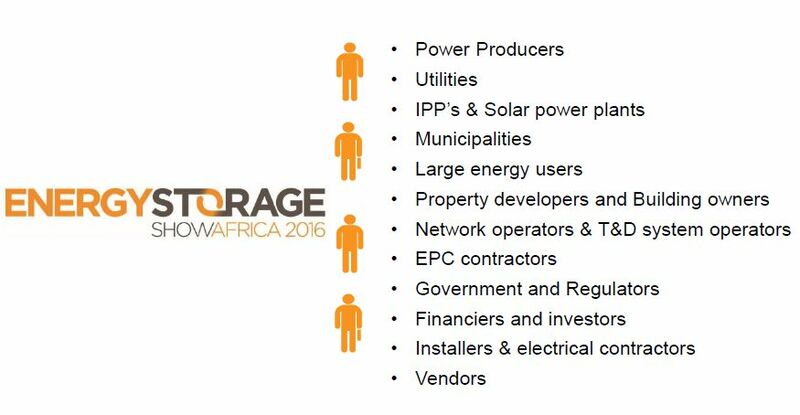 The Energy Storage Show Africa is the leading marketplace and ideas exchange for African power producers, large energy users and governments, hungry for innovative solutions. The show presents a lucrative opportunity for the continent’s foremost solution providers to meet new customers. And to grow their client base in Africa.